When I heard that a cat cafe was going to open in London, it’s fair to say that I was more than a little bit excited. Cats and food are two of my favourite things, and whilst most people will agree they don’t go together fantastically well, I was still looking forward to a visit to Lady Dinah’s to see for myself how the cat cafe would work. I had actually been to a cat cafe in Paris before. My French colleagues took me there and were disgusted to discover that the cafe would only serve wine with food – while we had only visited there for an aperitif. The surly, typically Parisian waiters refused to bend the rules for us, the cats were skinny and unfriendly, and we left the place after 20 minutes with the feeling that cat cafes could surely be done better than that. Well they can. 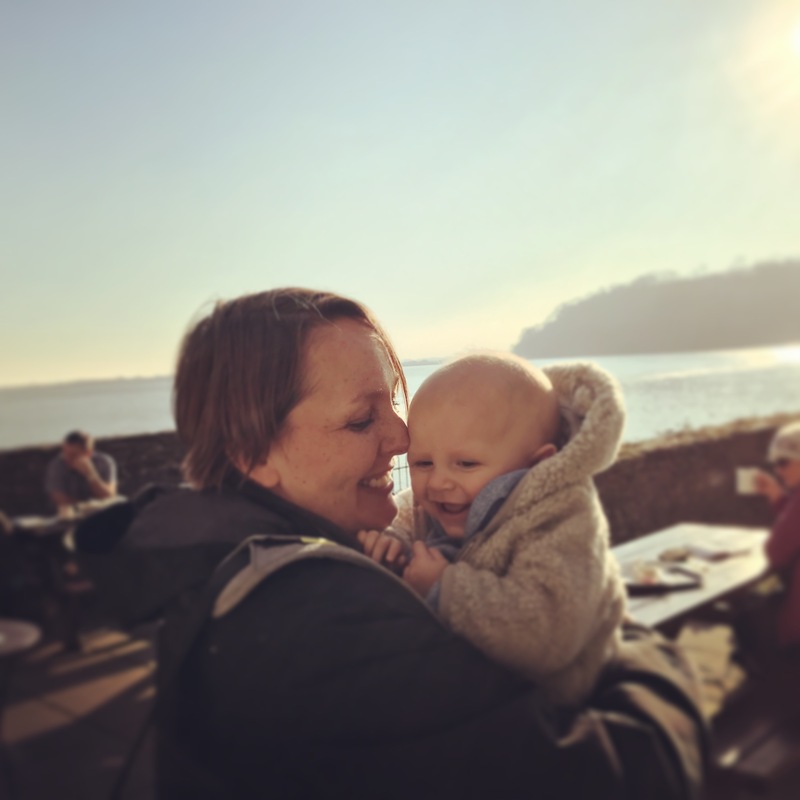 As soon as Lady Dinah’s opened, I booked an evening slot for us … they were already struggling with demand and so I was lucky to get a table just a couple of weeks after they opened their doors. The reviews I read ranged from massively enthusiastic to disappointed, and so I wasn’t entirely sure what to expect. Andrew, it must be said, was not particularly looking forward to the evening, and I think it’s fair to say that most of the men at Lady Dinah’s appeared to be there due to the wishes of their other halves. When you arrive, you have to wash your hands whilst the rules of the house are explained: basically don’t feed the cats, no flash photography and don’t touch the cats if they are sleeping. All pretty normal stuff, and completely fair. Then you walk into the two-floor cafe and choose where you fancy sitting from the selection of sofas, armchairs, and tables. Obviously I made a beeline for the area where there seemed to be the most cats, who all looked completely comfortable in their surroundings, well fed and well cared for. Unsurprisingly, they were completely indifferent to our presence, and the moment any of the cats moved, everyone tried to catch their attention by dangling cat toys near them. Those cats knew what they were doing though and kept everyone hanging. People around us had ordered sandwiches which looked tasty, but as we were going out for dinner later we decided on a cream tea (a word of advice: not the best starter when your main course is going to be Vietnamese food!). The tea comes in cute pots with lovely mismatching cups and saucers, and the scone arrived with generous amounts of jam and clotted cream, so we were happy. 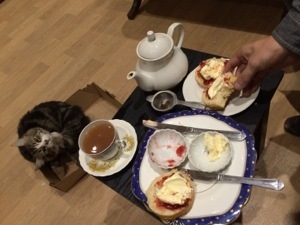 The thing is though, we have four cats at home, and so the only novelty really was the fact that the cats were ignoring us … if we were at home with scones and cream, Betty in particular would be leaping over us trying to get our cream tea into her little mouth. So it was nice to be able to eat without pushing cats off of our plates, but I think Lady Dinah’s would appeal much more to people who don’t have their own cats to fight over food with! We both tend to get the sneezes around unfamiliar cats and dogs, and so we did end up a bit runny nosed and wheezy after half an hour at Lady Dinah’s, but that’s not a criticism of the cafe – it’s natural in a large room with several cats that people prone to allergies would start to sneeze. We decided that had given us enough time to enjoy the experience, and whilst I would definitely recommend it to others, we probably won’t go back considering we have our very own cat cafe at home. And although our cat cafe scone was lovely, we wanted to have a proper dinner so walked up the road to Dalston to my favourite Vietnamese restaurant, Song Que on Kingsland Road. I started visiting Song Que with colleagues from a company I used to work at around 10 years ago – we used to hop in a taxi from the City and go there for lunch, washing our food down with a couple of Hue beers. The expense of the taxi was outweighed by the cheapness of the meal, and between 10 of us it worked out to less than £10 a head for travel costs, food and drink – so frankly a bargain. If you haven’t been to Song Que before then a word of warning: they have the world’s rudest waiters and pretty appalling service. But they are still rammed full every night, and that’s because the food is delicious and authentic … and cheap. Okay so your pho might be flung onto the table with no ceremony, or your request for a pair of chopsticks (because they haven’t bothered to lay the table for you) might be sneered at, but it’s still worth it. I was gutted to see that my favourite of crispy fried prawns were no longer on the menu (scribbled out with a biro; still visible to mock me), so I ordered spring rolls and Andrew had beef wrapped in betel leaves. My starter probably arrived 10 minutes before his, and his arrived with our main courses (and without apology), but that’s the kind of service you have to expect from Song Que. 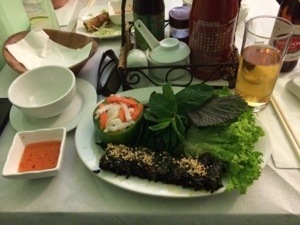 The food was as delicious as we remembered – crispy spring rolls without any grease, and juicy tender beef wrapped in betel leaves, with a gorgeous dipping sauce. For mains we both had spring rolls with grilled pork and rice vermicelli – one of our favourite meals when were in Vietnam on holiday. It’s a perfect mix of bland noodles, flavoursome meat, crunchy peanuts, fresh salad and herbs and a tasty dressing of fish sauce, chilli, garlic and lime juice. We struggled to finish our dinners (as I said, don’t have a scone with clotted cream as your starter! ), even though we were still jealously and greedily watching our neighbours with their huge bowls of pho (which Song Que is renowned for). I think I will have to have beef pho next time we go. We requested the bill, were ignored for 20 minutes, requested the bill again (from another waiter who was shooting us dirty looks for clogging up the tables) and then paid up with pleasure, having greatly enjoyed the experience of the best worst service in London. So overall a very successful night. As I said, we probably won’t go back to Lady Dinah’s, even though it’s a great experience and deserves every bit of success it has already seen. I hope it continues to do well and we see more cafes like it pop up in London. We definitely will go back to Song Que – I feel it’s important to share with other’s the most remarkable service you are ever likely to experience (outside of Paris! 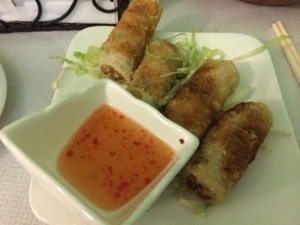 ), and some of the best Vietnamese food in London.